Guys! I’ve told you a few times how much I love Lorna Jane sports bras and my love has deepened with a few new purchases. I feel as hoardy and obsessive over Lorna Jane bras as I do about my Lululemon items. In fact, I love Lorna Jane bras way more than my Lululemon sports bras. This week I got to try on some new Lorna Jane pieces and I even got a chance to wear my new purchases for todays Olympic Lifting class. My Lorna Jane Sports Bra that I got to workout in today. This bra is amazing. I love that you don’t have to pull this one over your head. Most people aren’t very flexible in the shoulders so pulling a tight sports bra on and off is not only hard, you can really hurt yourself. I know, I’ve sprained my neck this way before and I do have shoulder flexibility. This bra has a clasp at the back like regular bras which is not typical for a sports bra with this design. I also really love that you can convert this bra to a racerback or a standard strap with a hook. I loved the mesh overlay on this bra and the really pretty peach color. I didn’t purchase this one but now I really regret it and want it. I found this bra to be a medium support much like an Energy Bra. I take an ‘L’ in this and my usual Lululemon size is a 10. Another thing I love about Lorna Jane bras is how awesome the cup inserts are. They are heavy duty, they lift and shape and are also very thick. These cups really prevent you from getting that uniboob look. I have four sets of these now and they’ve all washed really well. I also put them into my Lululemon sports bras. Notice the cute little heart on the inside of the bra! All of the Lorna Jane items I have have a cute little red heart on the inside. This bra was really nice too. I loved the color combo and the purple mesh overlaid over the peachy orange. This was the same support level as the bra above, and a size ‘L’. This is the bra I came home with and I am so happy with it. This was a lot more supportive than the above two bras. It reminds me of a lot of Lululemon’s older bra styles that where very supportive like the All Sport Bra, and it doesn’t smash me down. The support is mostly in the band and at the sides. I love that this bra has a higher neckline so that when I’m bent over the bar at olympic lifting it’s not a cleavage show. I wore this today for my workout and was so comfortable in it, and supported. This bra also had some really great features on it that I loved, and it’s a perfect racerback to fit under Cool Racerback Tanks. On both the right and left side there is a hook to tighten your bra. You can undo the hook to loosen the bra significantly on both sides so you can easily pull it over your head. You can also adjust the length of the straps in case you get trap or neck pain. Love this! 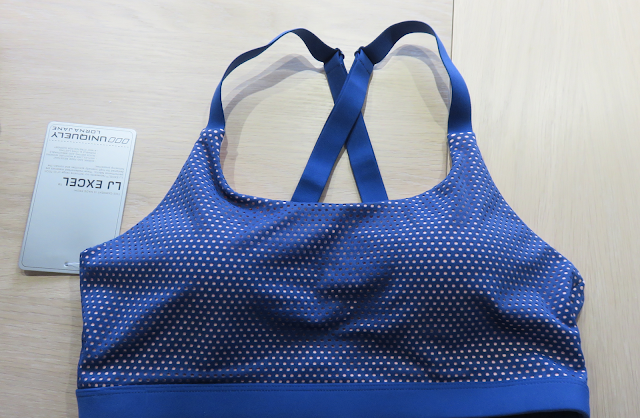 "Sneak Peek｜Australia and UK Upload"
I really like the look of the Comfy Fit Sports Bra and I am an A cup! where can we buy them in Canada? Lorna Jane is in the US. Can Canadians order from the US website instead of the Australian website? Oops, sorry, I meant to say that it's also in the US. I know that Lorna Jane is an Australian company. For now you have to order off the Australia website – and pay shipping and duties. I will have a better option for you hopefully very soon. Stay tuned! Calgary has the first Lorna Jane store. Edmonton has 4 Believe Fit locations that sell LJ. Not sure about the rest of Canada. I wandered into Lorna Jane last weekend looking for 'color'. Ended up buying the twisted back tank in melon. I think that's the color. The material is so soft and the color is just a tad off from all the pinkish- oranges that it makes the color 'different' and special. 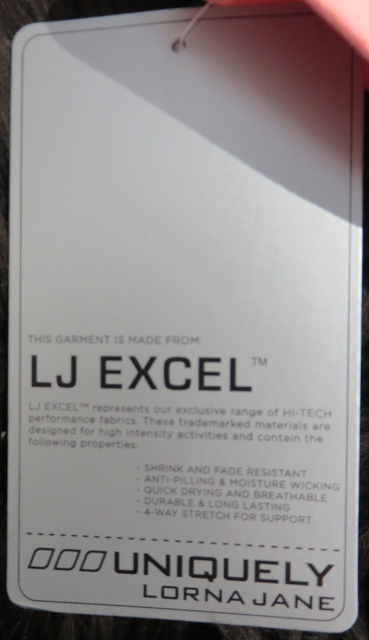 That's what I use to look for with lululemon 'different and special'. Now I am also looking at Lorna Jane and werkshop. I love Lorna Jane! I went a bit overboard and I now have a cupboard full of bras. They are great for colours and support, there's just so much more to them than LLL. Also LLL doesn't really cater for the D+ cup where as Lorna Jane does. I am a 12 in LLL and can fit into an L in Lorna Jane for bras but for the tops I really need the XL which is only available on the Aus site. Also their bras tend to be reduced a lot, either o the LJ site or you can buy them from other sports or department stores in the UK. wow the coral is utterly perfect on you! thanks so much for reviewing, i'll have to look into their bras! Lorna Jane just opened a store in Southcentre mall in Calgary yesterday!! I am sold on the Hollywood Bra and can't wait to hear how we Canadians can get our hands on Lorna Jane product without ordering overseas. I love the mesh overlay and back closure. I also like how the inserts are a decent thickness. I have stopped buying LLL Flow Y Bra since my last online purchase through WMTM was a totally different fit with longer straps so the support just wasn't there. LLL inserts are a joke and I once told them I would prefer paying for an insert with proper thickness and shape than get for free their thin creased inserts. I am very impressed with the new look and the many changes you have made to your website. I was not expecting to see it totally overhauled but I have to say all the changes I have seen so far have really elevated your site to a more sophisticated level, good job. I am glad to see you were able to use the picture you wanted in the header by changing the dimensions. I like how your header pictures flow from one to another showing us what your current post topics are. I like that the main page shows more than just your most recent post and how you have delegated the majority of the advertising to within the posts, good idea. I also like that the comments automatically show up when I enter the post. Excellent job Lulumum. I have to say though, how could a Company like LLL with all the money and talent behind them, overhaul their website and get it so wrong? Anon, I removed your comment but not because I'm 'moderating'. I am in the process of developing something very similar. But to give an option for now, I believe you can use the 'concierge' button on the Lorna Jane site. I have to say that I've never had much luck with Lorna Jane. I'm a muscular yet petite 5'3", and the clothes don't fit me well. I have two stores in my market, and I never see anyone here in LJ. I wonder how they're doing in the U.S. overall? Just wanted to say that I really like the new look of the blog. Great work, and thank you for keeping us all updated on all things Lululemon! Thanks for the fit review! I'm very interested in Lorna Jane and Sweaty Betty. Great to know Nordstroms sells them! Love the look of your new site! Very modern and sleek! What is the shirt in the photo? Thanks! I'm doing a post for the tops and bottom I tried on shortly shortly. Great, thanks! I thought maybe I missed it somewhere. Looking forward to more to come! I want to chime in and say I absolutely love the new look of your blog! It looks so much neater, cleaner, and overall more appealing! 🙂 I might check out Lorna Jane now! My love for LLL has been waning. Hey, Lorna Jane, thanks for tuning in to this discussion. Could you consider a change to your website? I really don't like having to click "Load More" all the time. If you could load all items – or even make me page through to see them all – that would be great. Thank you! Can anyone tell me the name of the top in the top photograph? I couldn't find it on the LJ site. Thanks! I couldn't find it on the site either but I'll hunt for the tags when I'm home. I think you can use the concierge service to order. Thanks for much for your sleuthing! Unfortunately, they slapped a big logo right in the middle of the back of the shirt – where your bra band would be – which killed it for me. But I really appreciate your taking the time to track it down, LLM! Thanks for the fit reviews. I would be interested in the bras if I could try them on in real life. If you are in Canada, I find that unfortunately Lorna Jane is just too expensive to purchase through the online avenue. Or through sites like Shop.ca; the prices there also made me laugh heartily. I read some 2015 story that LJ was to open box stores in Canada 2016. I'm in Toronto and to my knowledge there are no stores here (it's a no-brainer if you are going to open in Canada). We have Nordstrom's now but I think I read that you cannot get LJ in Nordstrom's here either. Too much of a hassle to try to get leads to no interest. From looking at the LJ site, there is just far too much gear emblazoned with "Lorna Jane" (instead of just the logo) which is completely unappealing to me. I've purchased all of my Lorna Jane items (4 bras, 2 tanks and a tee) and have not been paid or encouraged in any way to review them. I love my items and they have washed and worn extremely well and they've stood up to gruelling workouts. If they where more available in Canada online, they would certainly have more of my business. The good thing is though is we have a plethora of options these days for athletic wear and if this brand doesn't work for you, there is so much available now.